As India gear up for the second match in the Hero International tri-series against St Kitts and Nevis to be played at the Mumbai Football Arena on August 24, Coach Stephen Constantine lavished huge praise on the newly-appointed captain Sandesh Jhingan. "The captain has to reflect the character of the team. He has to set the tone of the team. Sandesh is a fighter like me who loves to lead the side from the front,” Constantine said. Jhingan, who leads the crop of the new breed of Indian Footballers had made his debut for India against Nepal, which was Constantine’s first match as a Coach in his second stint. 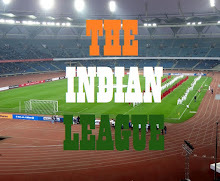 “Sandesh to me a player who should be playing is a bigger league,” Constantine certified. The defender par excellence, wasn’t too much willing to be over the moon. “Playing for your Country is itself a great honour and here I am, leading my Country,” he stated. Jhingan has played a stellar role in the Indian back-four along with Anas Etathodika, Pritam Kotal, Narayan Das and Gurpreet Sandhu (in goal) in helping India create a new record for Indian Football in winning nine International matches (including the un-official match against Bhutan). Constantine further went to say that Sandesh is a one of the 'leaders for the future.' "In coming days, at least we can identify Sandesh as a leader once Sunil hangs his boots,” he maintained. Meanwhile, Chhetri, along with Gurpreet Singh Sandhu and Udanta Singh will be joining the National Camp after Bengaluru FC’s AFC Cup stint. India have won two of their two matches in the AFC Asian Cup Qualifiers against Myanmar (away) and Kyrgyz Republic (at home) and will face Macau on September 5 (in Macau).